We are proud to offer complete WATER RESTORATION SERVICES! 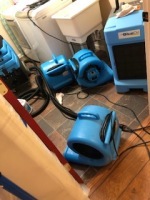 Unlike many water restoration companies, we have the ability to use heat to dry your space much quicker. 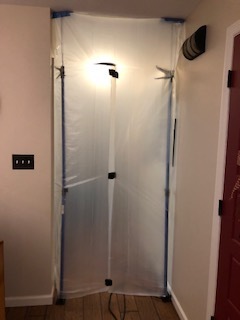 With state-of-the-art technologies, we can remove the water, dry the area and control odors, mold, fungus and mildew faster and better than the competition. With a name you can trust, FOUR SEASONS can provide the service you expect at a price that won't 'dry' your wallet too! We hope you never experience flooding of any kind, but if you do, give us a call. We make life Dry! Innovation! 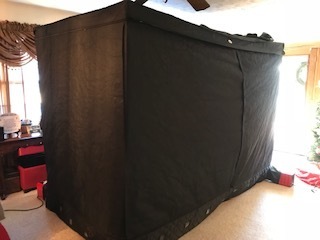 We think outside the box. 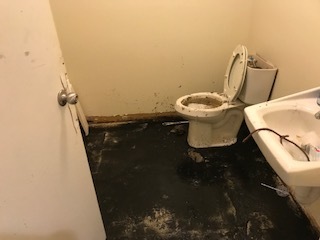 no two water damage claims are the same. For this reason, neither is drying them! 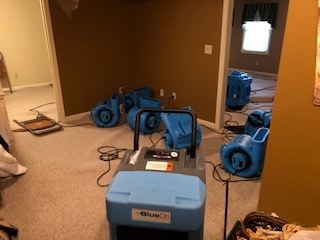 With our innovative techniques, your home or place of business will be in the hands of a capable company who will do everything needed to completely dry your structure and prevent future issues. hardwood and laminate flooring etc. What this accomplishes is faster dry time and less potential damage from the water. 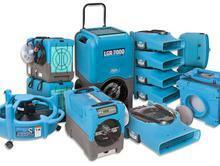 which the water can cause damage, resulting in those faster dry times. 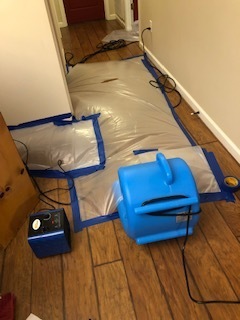 We use forced extraction to pull water from beneath hardwood and laminate floors. 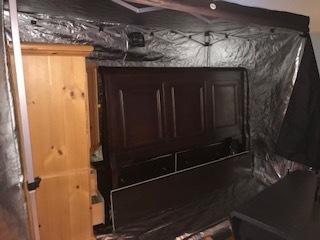 We use pre constructed heat chambers to dry wet furniture. Furniture that otherwise would need replaced. This is valuable especially when dealing with antiques or heirlooms; items which might not be able to be replaced. Being able to think and work "on the fly" goes a long way in water restoration. We've saved countless floors, walls, cabinets, furnitures and much more, simply by acting on the size of the structure vs the size of the contaminated area, eliminating the equipment from working also on the dry area and thereby reducing dry times and damages.... all with a little thought, a little work and a little innovation! Creating "zones" by constructing dry chambers creates smaller spaces and quickens dry time resulting in less damages. Drying specific areas is made quicker and easier using forced air and heat after a forced extraction. 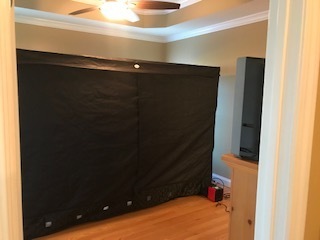 Heat chambers can be placed inside the home to heat-dry expensive furniture items. 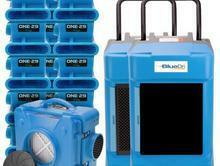 Heat radiated from the chamber also aids in drying the room itself. A great alternative to losing precious items! 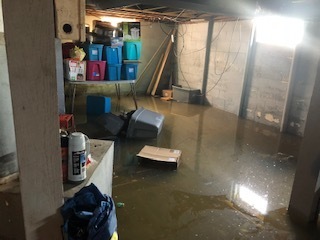 A flooded basement that began during heavy rains with a water heater pop-off valve failure. 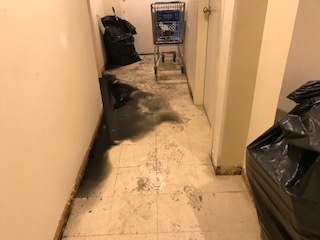 Water backed up into the drain and as hydrostatic pressure outside from rain, built up, water back-flowed into basement through the now filled drain and flooded. 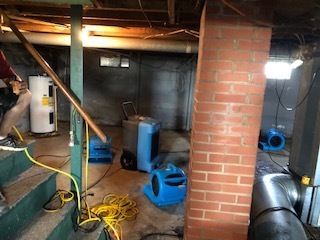 We removed the water, dried the basement and sanitized the floors, walls and HVAC system. We take pride in our work and provide quality services. We stay on the cutting edge of equipment and training. certainly no fun but we can get you back like it was before it ever happened! Gray and Black water restoration that other companies avoid... we do those too! 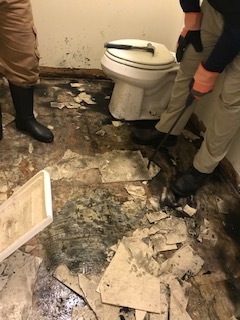 This was a messy situation but we cleaned it up to the customer's satisfaction! From start to finish - Complete restorations! 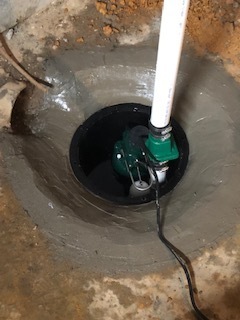 Sump pump installations for future prevention! We won't just dry your home.. we can do all repairs from drywall to flooring, moving furniture to painting and so on. You'll have the benefit of one company handling the entire project from start to finish. One call is all it takes!